A Russian Special Operations Forces officer reportedly called a strike onto himself when he was compromised and surrounded by ISIS militants near Palmyra, where a fierce battle between the Syrian army and terrorists is in full swing. “A Russian special operations forces [SOF] officer was killed near a town of Palmyra while guiding Russian warplanes to IS [previously ISIS/ISIL] targets,” a military source at Russia’s airbase Khmeimim told Interfax news agency on Thursday. Other details, including the officer’s identity, have not been disclosed. 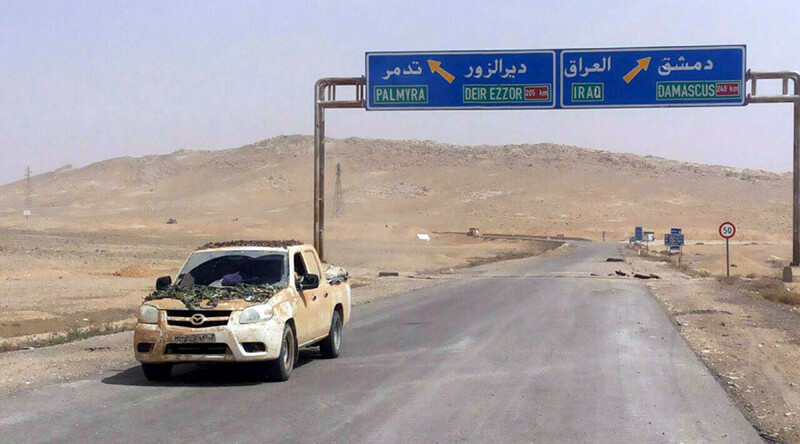 Previous reports from the battlefield said that the Syrian army is on the verge of retaking Palmyra – a cradle of ancient civilizations and UNESCO world heritage site – which has been held by Islamic State. The ground offensive is supported by Russia’s warplanes, while Russian-made weapons delivered to the Syrian military also help make further advances. — Ruptly (@Ruptly) 24 марта 2016 г.
Russian SOF teams have been on the ground in Syria since Russian anti-IS operation started last September. Earlier on Thursday, the chief of the Russian contingent in Syria General Aleksandr Dvornikov told Rossiyskaya Gazeta in a rare interview that special forces operators conduct long-range reconnaissance and act as forward air observers. Until today, four servicemen have been killed during the Syrian deployment, including Air Force pilot Oleg Peshkov, killed airborne after ejecting from a Su-24 bomber downed by Turkey as well as a Marine soldier Aleksandr Pozynich, killed during the search operation to rescue the surviving Su-24 pilot.